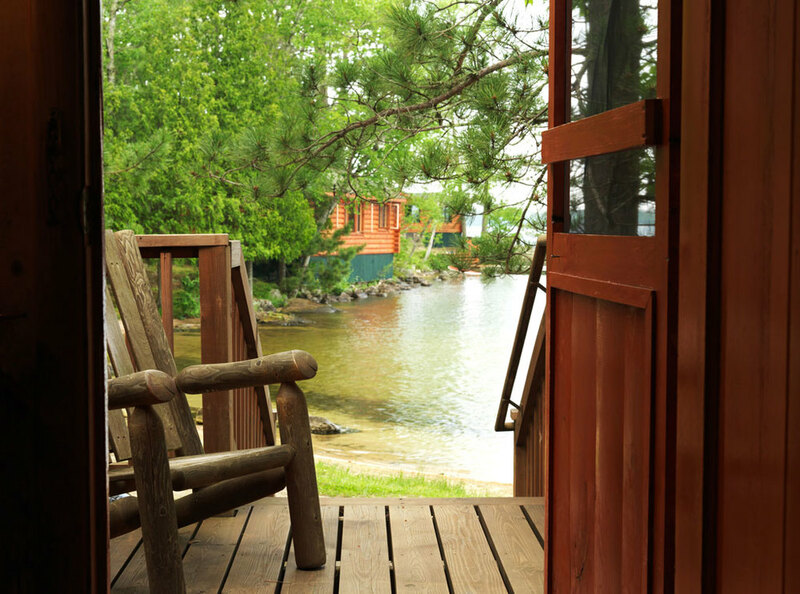 This is a waterfront one-bedroom cabin that is located at the swimming beach. 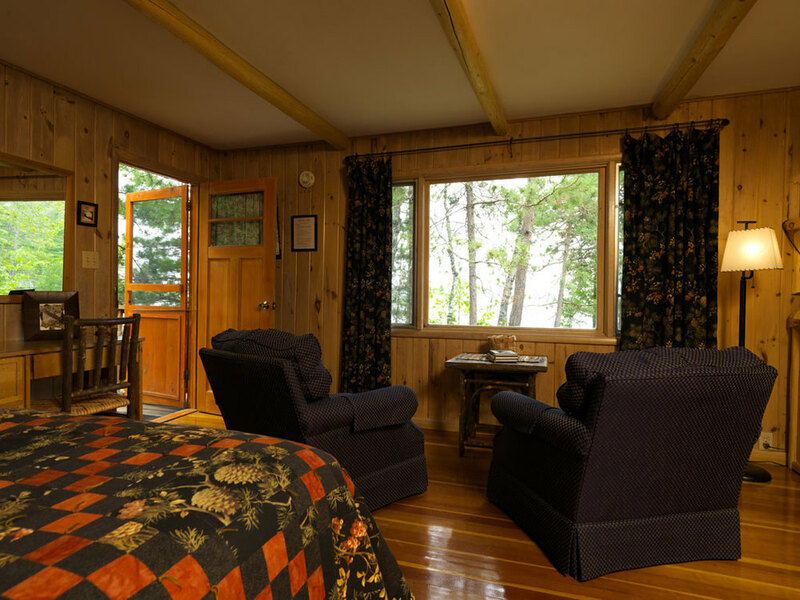 Built in the 1950's of log siding the cabin consists of one large room with knotty pine walls and wood floors. You will find a comfortable queen-size bed, small refrigerator, coffeemaker and microwave; the bathroom has tub and shower. Two chairs offer comfortable seating in front of the picture window where you will enjoy beautiful views of the lake. A corner gas fireplace unit provides great heat and ambiance. A charcoal barbecue is located outside the cabin. The 2019 rate is 272.00 per day; or $ 1 735.00 per week, plus tax.